Welcome to the Victorian Red Plate Club. We are a not for profit organisation incorporated in 2014. We are run by a committee based in Shepparton who ensure we are up to date and able to provide you with a club that meets all VicRoads requirements. We welcome the entire range of vehicles historic, classic and antique cars, modified, replicas and custom, bikes, buses and trucks. Don't bother with a trailer. 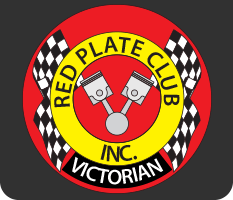 The Victorian Red Plate Club has no meetings for members to attend. There is no waiting period. The Club Permit Scheme, or colloquially known as "Red plates" is a form of registration relatively new to Victoria. VicRoads does not consider this to be full registration but a "Registration Permit" of an unregistered vehicle recognised by VicRoads to make limited use of historic vehicles on the road network. The advantages to our club are no meetings to attend and no forced club runs, no committees and no raffle tickets to sell. There are substantial savings such as greatly reduced registration fee, no VicRoads stamp duty and greatly reduced insurance costs. 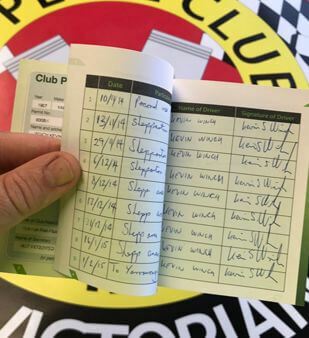 The Club Permit Scheme has its pros and cons. It's not for everyone but for most, red plates are a good thing, a status symbol, telling the world you have your act together, have some mechanical knowledge and that you take pride in your wheels. For some its a link to their family history, an interesting back story that adds character and charm to their car. Some cars have so much family history and are so treasured they are not for sale at any price. There seems to be a car show every weekend, somewhere. Go to as many as you can. See what others are doing with their vehicles, have fun, meet people and spread the word about red plates. Before contacting the secretary, read the web site carefully. Be aware that you will need a roadworthy. A VASS engineers certificate may be required. Familiarise yourself with VSI 33, VSI 8 & VSI 14 etc. It only takes half an hour to educate yourself on the Club Permit System.